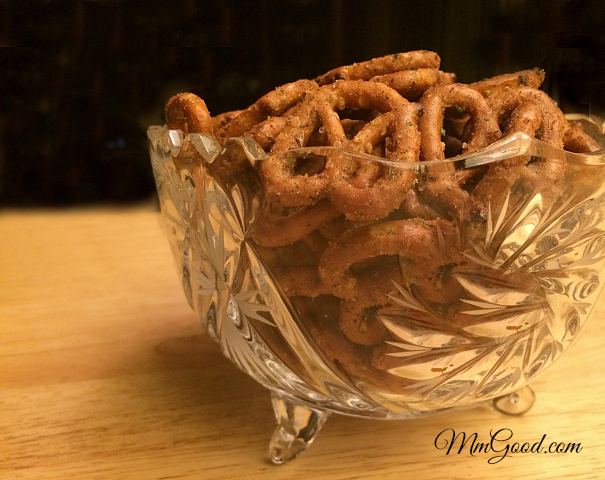 What are spiced pretzels you might ask…well let me tell you, spiced pretzels are the most addicting snack food you can have and with super bowl Sunday right around the corner, I figured it was time to share this little treasure of a recipe. I had never heard of spiced pretzels before and had an old friend who, once he had tried them, could not stop talking about them. I mean he literally went on and on and on about the spiced pretzels and then I got the recipe…I was like “no way am I making these, it sounds off”. I kept on hearing his voice about how amazing the recipe was and that I had to give it a try, he promised me I would not be disappointed. I figured outside of the pretzels, I had all the other ingredients so why not give it a try. OMG the spiced pretzels were better than he bragged about, they were salty, spicy and had the crunch from the pretzel and here was the problem, once you ate one, you literally couldn’t stop…yes that good. I tossed it around and had it lay flat on my butcher block, every hour or so I would flip the bag to make sure the pretzels were evenly coated. Surprise your guests this year for super bowl and make this super easy recipe, they won’t be able to stop eating them. I was originally concerned about the amount of oil as I didn’t get how the oil absorbed into the pretzels, 1/2 of cup was just fine. I did research other recipes and some use as much as 1 cup of oil, stick to the 1/2 of cup. You can play around with the recipe as the original recipe called for cayenne pepper, I used chipotle pepper, it also called for garlic salt and I decided to only use garlic powder. 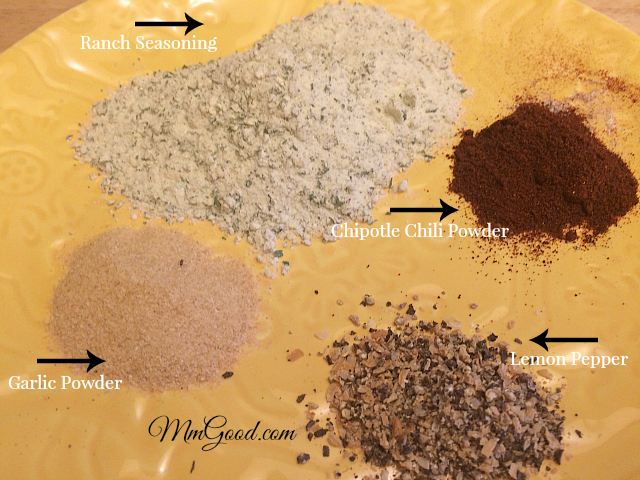 I would keep the spices similar as you want that spicy and yet favorable flavor so do not omit the lemon pepper or chipotle (use cayenne if you can’t find chipotle pepper). If you enjoyed this recipe, please leave a comment and if you enjoy my site, please subscribe. To subscribe, go to the box listed on the top of the page “Subscribe Via Email” and input your email address. When you subscribe, you will be emailed a link to confirm the subscription, be sure to click on that link to activate your account. 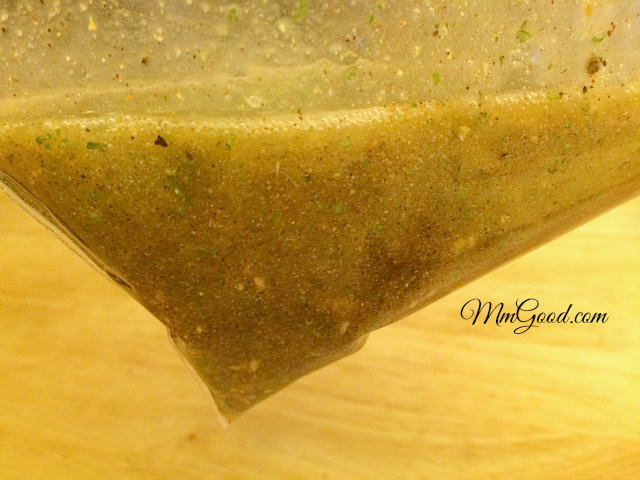 Place oil in a 1 gallon zip lock bag, add the dried seasonings. 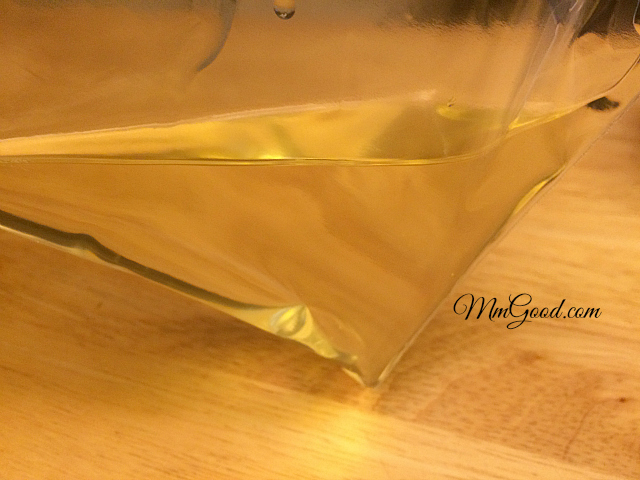 Add pretzels to the oil mixture, mix until well coated by shaking bag. 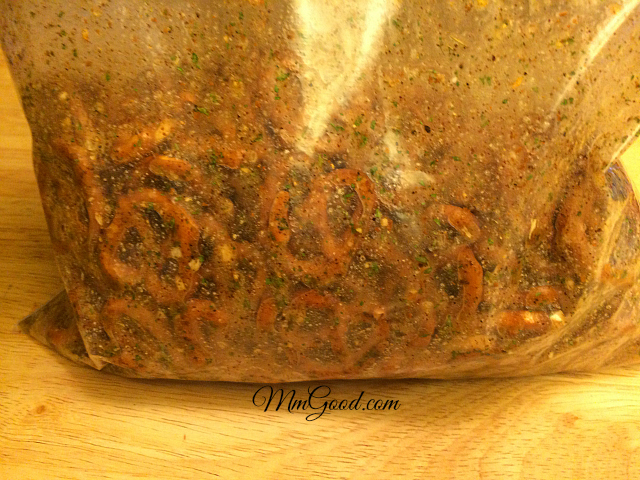 Lay bag on counter and keep flipping the bag to evenly coat the pretzels. 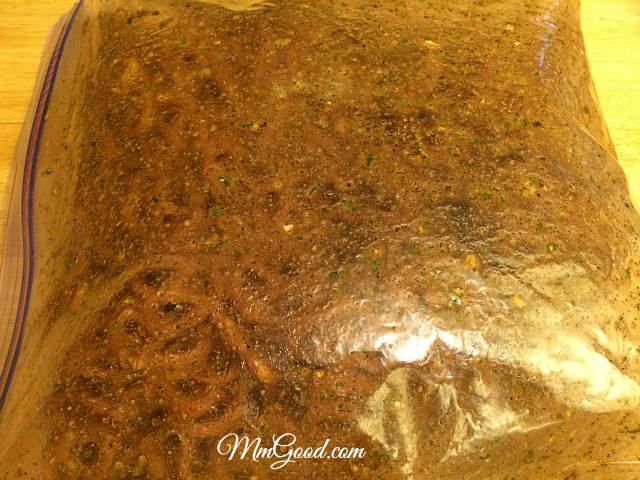 Do this for at least 6 hours but the pretzels can stay soaking over night. Enjoy!